Cults in Turkey are organizations dating back to the Prophet’s era, each with their own unique tradition. The term cult means ‘the way.’ Members follow this ‘way’ in order to attain the highest condition of being human. By contrast, religious communities are typically based around social needs, such as education or charity. They follow a religion while fulfilling these social needs. In the past, cults excluded themselves from society. The intent of the cult members was to discipline themselves inside tekke – dervish lodges. But after the inception of the Republic of Turkey, structures such as tekke and zaviye – small dervish lodges – were prohibited. Cults left their tekkes under this prohibition and began to interact with the public. They became easier to confuse with the work of the religious communities. Based at the Ismail Aga Mosque in Istanbul, this movement is affiliated with the Naksibendi cult and is led by Mahmut Ustaosmanoglu. The members dress radically, usually wearing cloaks and displaying long facial hair. 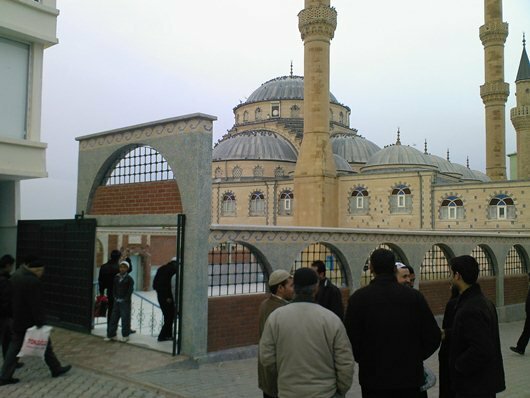 According to a recent article in Sözcü, a Turkish newspaper, some of the AKP members are engaged in business deals with the Ismailaga Community and six ministers of the AKP and the Prime Minister of Turkey have close ties with the Iskenderpasa Community -another branch of the Naksibendi cult. Although the Ismail Aga community has a distinctive appearance, it mostly concentrates on its political and commercial affiliations, justifying those involvements by showing its support for the AKP. This community is a sub-branch of the Naksibendi cult and lends its name to a small village in Adiyaman, Turkey. The founder of the movement is Mehmet Rasit Erol, known for his support of the government during the era of the September 12 coup. The Menzil movement differs from others in that women have the right to learn and study within it and it does not sanction any kind of political affiliations. In 1982 in Afyon, Rasit Erol delivered a speech stating, “Educating one student is more valuable than converting 70,000 people as sofi” – followers of the movement. Abdülbaki Erol is the leader of this movement. The Menzil movement is based in the village of Menzil and there are two subjects prohibited from discussion inside the movement: politics and Ataturk. One of the main goals of the movement is to rehabilitate alcoholics and drug addicts. Each year, more than 20,000 people visit Menzil and volunteer in the community, performing duties such as carrying bricks or helping in the kitchen. At night, nearly more than 1,000 people sleep on the mosque floor, seen as part of the purification process. According to some of his followers, in 2009, Abdülbaki Erol suggested that they should not wear a skullcap abroad in society, which might provoke the public against them. The Menzil movement is one of very few apolitical religious movements in Turkey. But even the few movements of this type who stay out of politics use relations with various political figures to promote their activities. Turkey harbours more than 21 religious movements and each has more than 100,000 members. No one in Turkey can deny these movements’ longstanding commitment to such ventures as building schools, dormitories, helping the poor. However, it is common knowledge that one of the main reasons the AKP has been elected twice in a row is the coalescence of all the religious organizations in Turkey around their vote. Once the Justice and Development Party (AKP) came to power, they became stronger than most comparable organisations in Turkey, a development noticed by foreign intelligence companies. According to Stratfor’s global intelligence report, the Gulen Movement (FGH) wields considerable financial power including over the Turkish media. According to Jane’s Defence Weekly report, the FGH alone controls more than $25 billion in various companies and assets around the world and a recent report prepared for the US Congress on Turkey: Politics of Identity and Power stated, “FGH controls a network of schools around the world, including some in the United States; universities; banks with more than $5 billion in assets; non-governmental organizations; and newspapers, magazines, and television networks in Turkey and other countries.” There is a growing body of opinion, not only in Turkey but amongst foreign observers including Gareth H. Jenkins, Nonresident Senior Fellow with the Central Asia-Caucasus Institute, Soner Çağaptay, Director of Turkish Research Program, The Washington Institute for Near East Policy; Dani Rodrik, Professor of International Political Economy at the John F. Kennedy School of Government, Harvard University - that some of these Turkish religious movements are capable both of influencing the judiciary system and the path of the Ergenekon investigation. Normal sympathy towards the religious communities by the Turkish public has recently been ruffled by a series of controversies when people who criticized or acted against the interests of those movements began to be punished for it on a regular basis. On September 26, 2008, journalist Merdan Yanardag was taken into custody under the Ergenekon investigation, and according to Gokay Sofuoglu, president of the Baden-Wurttemburg Turkish Assembly, the timing of the custody process was not a coincidence as, Mr. Yanardag was planning to attend a conference criticizing the Gulen movement. When Ilhan Cihaner, the chief public prosecutor of Erzincan, looked into the activities of religious movements in the city who are close to the AKP, including the Ismail Aga community, the Suleymancilar community, and the powerful FGH, he began to collect evidence of alleged criminal activities, including the fixing of state contracts and the obstruction of justice by members of those communities. According to Cihaner, the former Justice Minister of the AKP tried to convince him to drop his case. Then, on February 16, 2010, Cihaner was arrested and charged with being a member of the Ergenekon organization. A third related arrest was that of Hanefi Avci. Avci is a nationalist-conservative police chief who once had close ties with the FGH, sending his children to FGH-affiliated schools. According to his latest book, “Haliçte Yaşayan Simonlar: Dün Devlet, Bugün Cemaat” (“The Simons Living On The Golden Horn: Yesterday The State, Today The Community”), he discovered that a group under the Gulen movement based inside the Turkish police forces had gone ‘rogue’. They started to act against people who were opposed to them by fabricating evidence and illegal wiretapping. Avci reported the activities of this group several times to the Ministry of Internal Affairs. When he got no response, he decided to write a book. His book sold more than 570,000 copies, which spurred media companies with close ties to the religious movements to publish salacious stories regarding Avci’s private life. On September 29, 2010, Hanefi Avci was arrested for allegedly being a member of the ‘communist’ terrorist organization, Revolutionary Headquarters. As cases increase of critics being arrested on suspect charges, and these movements become increasingly explicitly politicized, the Turkish public has become wary of voicing its opinion regarding them. But the tide may have turned on their reputations, and the leaders of these religious movements should think about cleaning up their act. “...Religious communities are organising through civil society and propagating religious world-views. There is evidence that these religious world-views promote traditional roles for women, and that these restrict women’s choices and engagement in the public world."